The banking sector in Pakistan is thriving and has been ever since the introduction of formal banking institutions in the region. There has been a growth in the number of facilities offered by private banks, keeping up with the rapid changes in technology and modes of payment. There has been an increase in branchless banking as well. Most companies now offer mobile and online banking, and credit cards have greatly diminished the need for holding excessive liquid assets. Banking is on a rise and Pakistani’s are riding the waves. Below is a list of the top banks in Pakistan, in no particular order. These firms have developed well over the years and provide their clients with utmost convenience, quality services and excellent customer care. Some of their account types are well-tailored to meet the needs of both the household and the businesses, and each bank has something new to offer its clients. This is Pakistan’s largest foreign commercial bank and one of its most successful. Standard Chartered Bank Limited has over 162 branches all over the country and provides jobs to more than 9000 people in the banking sector, while helping creat many others. Its first branch was established in Karachi back in 1863. In 2006, the Standard Chartered Company merged the Union Bank with its own bank, and this was thus the beginning of Pakistan’s sixth largest bank. Its commonly availed services include Insurance, Loans, Online banking, Cash Deposit Machines, ATMs, Phone banking, along with Debit & Credit Cards. The saving accounts are also highly acquired, and the money transfers are some of the most efficient and reliable in the country, both inter- and intra-bank. Faysal Bank Limited came into being as a public limited company under the Companies Ordinance back in 1994. It now has over 260 branches in more than 70 cities. Its shares are listed on the Karachi, Islamabad and Lahore Stock Exchange and its business assets value at 300 billion PKR. It also has corporate, commercial, Islamic and retail dimensions to its banking activities. 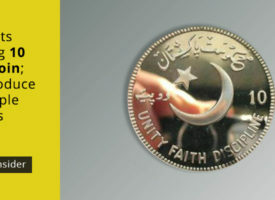 Allied Bank Limited was the first Muslim bank to ever be established on the land that is now called Pakistan. Its formation is dated back to 1942. It was formerly known as Australasia Bank Limited, but after merging with Sarhad Bank Limited, Lahore Commercial Bank Limited and Pak Bank Limited, it was renamed as Allied Bank to represent the development. The bank now boasts 964 branches all over Pakistan, making it one of the largest banks in the country. With regards to Personal Banking, it offers Everyday Accounts, Lifestyle Banking, Savings & Term Deposits, Credit & Debit Cards, Domestic Remittance, Bancassurance, and e-Banking Services. Corporate & Investment Banking, Transaction & Business Accounts, Home Remittances, Cash Management Solutions, Trade Services, SME Financing, and Agriculture Financing are part of their corporate sector. Extended Hours Banking, Online Banking, Safe Deposit Lockers, Utility Bills Payments, Allied Phone Banking, and Customer Support are also offered by the bank besides Islamic banking. Askari Bank Limited came into being in 1991 as a Public Limited Company. Since then it has opened up 265 branches, including 31 dedicated Islamic banking branches. It also has more than 4000 ATMs in all the major regions of the country. 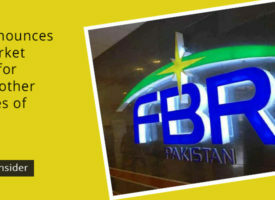 The Asian Banker awarded it twice as “Best Retail Bank in Pakistan”, it was labeled as “The Best Retail Bank” by Pakistan Guarantee Export Corporation Ltd, and it also holds the distinction of being the “Best Consumer Internet Bank” and “Best Bank in Pakistan” according to Global Finance magazine. MCB was the first bank to be privatized in 1991 after the initial wave of nationalization in 1974. It is presently Pakistan’s fourth largest bank, having an asset base of USD 7 billion as of 2012. It also has around 4 million customers. As of now, it has more than a 1000 branches, including 22 Islamic banking branches and over 650 ATMs in 110 cities. MCB was the one to introduce 24-hour cash withdrawal facility and its ATM/Debit Card can be used anywhere in the world. It was also the first to come up with the idea of a common ATM network with other banks, which has been the greatest leap for banking in Pakistan. It is a nine times recipient of the Euromoney Award for Excellence. It received the “The Strongest Bank 2010” award by The Asian Banker as well. United Bank Limited was founded back in 1958 and was nationalized before being sold again to the private sector. It now has more than 1320 branches in Pakistan, in 130 cities. It also has 15 branches abroad. This makes it one of the largest banks operating here. The name of the bank is now abbreviated to HBL Pakistan, and was previously known as Habib Bank Limited. Its customer base exceeds five million. The bank has over 1500 branches and 1400 ATMs in Pakistan, along with a share of the banking sector of more than 40 per cent. 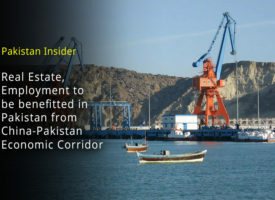 It has also monopolized inward foreign remittances with its market share of 55 per cent, along with loans to small industries, traders and farmers. HBL was recognized as the Best Retail Bank in Pakistan by the Asian Banker, and as Pakistan’s No.1 Foreign Exchange Bank by Euromoney. The Management Association of Pakistan also awarded it with the Coporate Excellence Award in the Financial Category. Bank Alfalah Limited is owned by the Abu Dhabi Group. It has been in the sector since 1997, and is now the 6th largest Pakistan operating in Pakistan with 576 branches throughout the country. 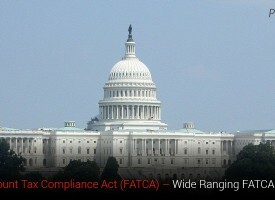 Presently, it offers Deposits, Remittances, Foreign trade, lockers, and financing options. It also has phone banking, ATMs and online banking services for those looking for more convenience. 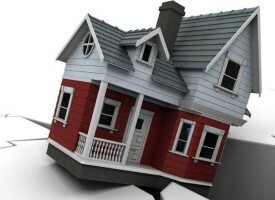 Credit Cards, Auto loans and Home loans are also available. Islamic banking is another feature that distinguishes this bank. Best online banking after scb ? Al-Habib is crossing its 550. Where is Meezan? Al Habib ? i dont believe on this list. i am business personal and except bank al habib i found every other bank as incompetent and poor in services. Bank al habib is great bank in terms of services.